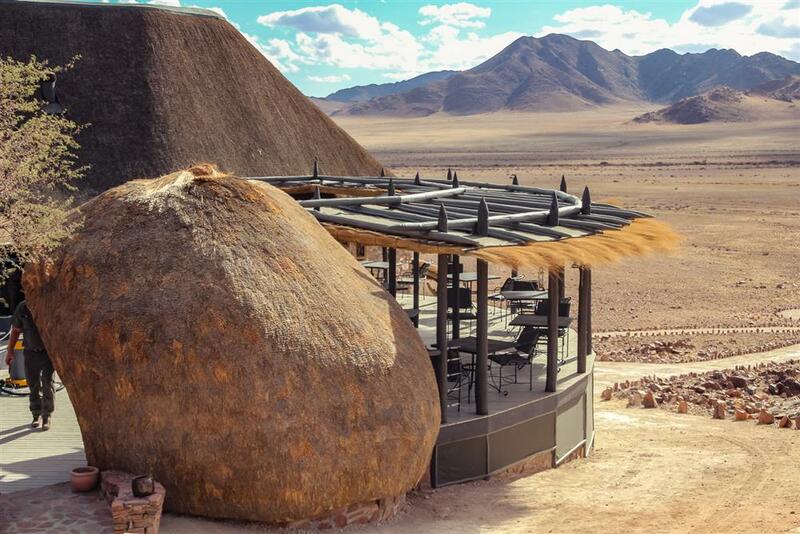 Deep in the 7000 ha nature reserve of Desert Homestead Lodge, adjoining the Unesco world heritage site ‘Namib Sand Sea‘, the Outpost opens its gates and offers relaxed hospitality with a natural atmosphere. On the wide open plains there are often cheetahs to observe, roaming the endless grasslands. 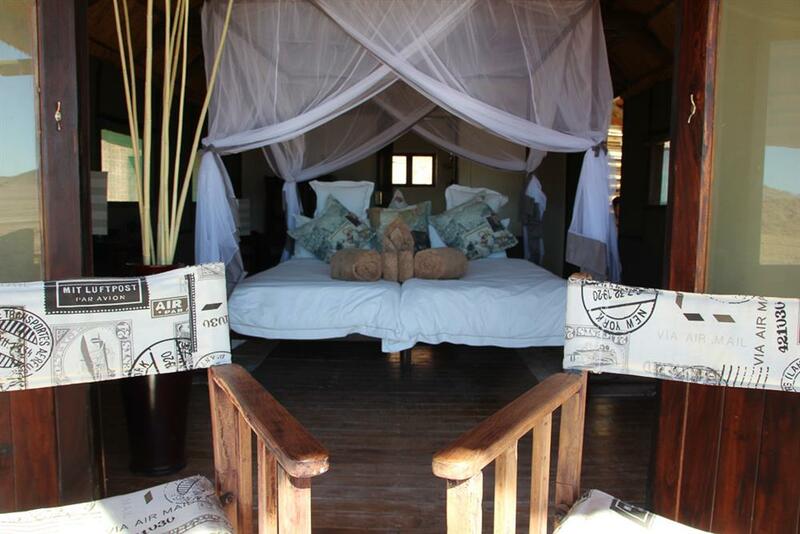 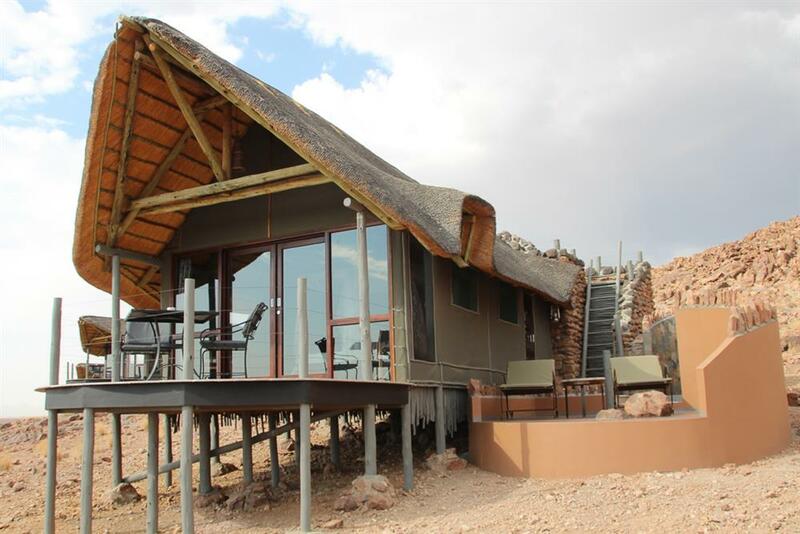 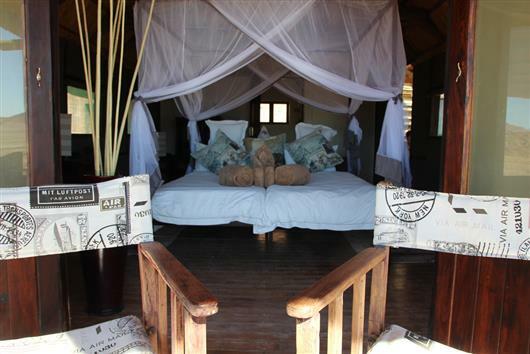 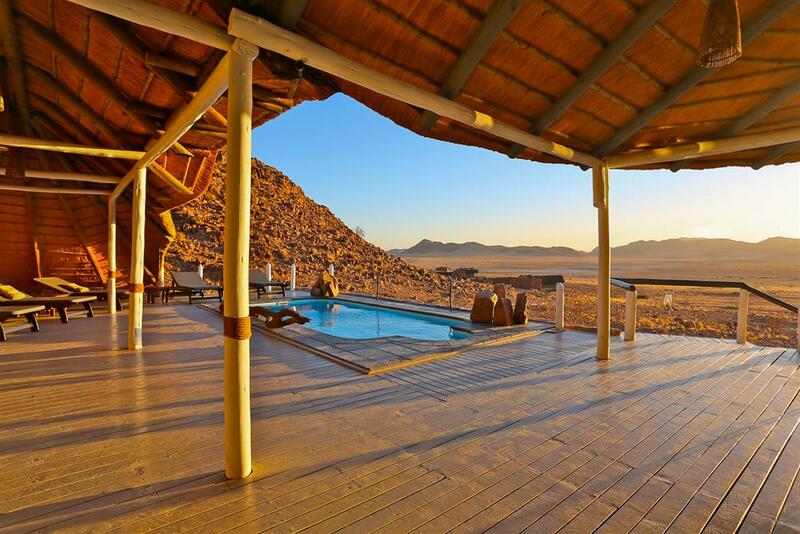 Each of the 12, thoughtfully crafted house offer panoramic views of the Namib desert. 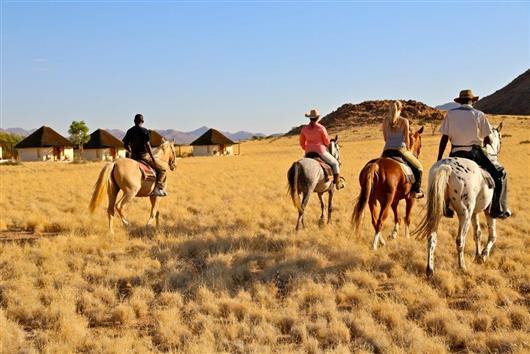 Climbing the impressive desert dunes is high priority for visitors to this region, however this lodge also offers extensive horse riding for riders of all capabilities as well as arranging transfers to and balloon flights.